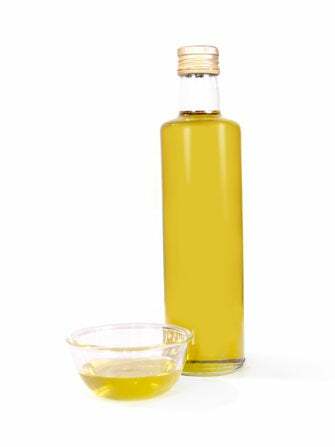 Is Oil-Pulling The Secret To Clearing Up Acne? image: via stock free images. Let's face it — acne is stubborn. So, it's no wonder that those of us dealing with more than the occasional breakout or blemish are willing to take some pretty extreme, heavy-duty measures to banish acne once and for all. But, before you bring in the big-pharmaceutical guns like Accutane, there's one more natural, chemical-free treatment we want you to try: oil pulling. -Drink a glass of water to cleanse your palate. -Pour roughly a tablespoon of oil (coconut, sesame, the variety is up to you). -Swish it in your mouth as long as you're able (beginners are advised to aim for the five minute mark, while practiced oil-pullers strive for 15-20 minutes of swishing). -Upon completion, spit out the oil — it's important not to swallow, as it's now filled with post-swishing toxins. -Rinse out your mouth with warm water and follow with a thorough tooth brushing. The literal "pulling" of the oil catches germs and toxins in your mouth before they reach your body, meaning the health and appearance of your skin may improve as a result. By getting rid of those pesky toxins and bacteria, you're also relieving your body of an additional source of stress — and we don't know about you, but stress is high on the list of culprits when it comes to our breakouts. Looks like our mouthwash has some competition.